Hello there. I'm a writer based in New York City. For many years I contributed content for countless National Geographic Channel and Nat Geo Wild shows, including Alpha Dogs, Inside Combat Rescue, Are You Tougher Than A Boy Scout?, The 80's: The Decade that Made Us and Untamed Americas. Notable achievements include writing content for the National Geographic Channel's Locked Up Abroad series iPad/iPhone app for three seasons and the Nat Geo Wild's Big Cat Week iPad app, and the publication of my article “Researching Wild Whale Sharks” on the Webby Award-nominated Great Migrations website. Some of my other clients have included Pregnancy & Newborn Magazine and Writer’s Digest. I hold an MFA in Writing from the University of Arizona, BA in English with a Minor in Spanish from Florida State University, and a Professional Certificate in Advanced Social Media Marketing from Harvard University. I am also an active Published & Listed (PAL) Member of the Society of Children's Book Writers and Illustrator's (SCBWI), an organization I’ve been a part of for over ten years. In early 2016 I transitioned my freelance writing career into book writing when I landed a two-book deal at auction with HarperCollins Children's Books. 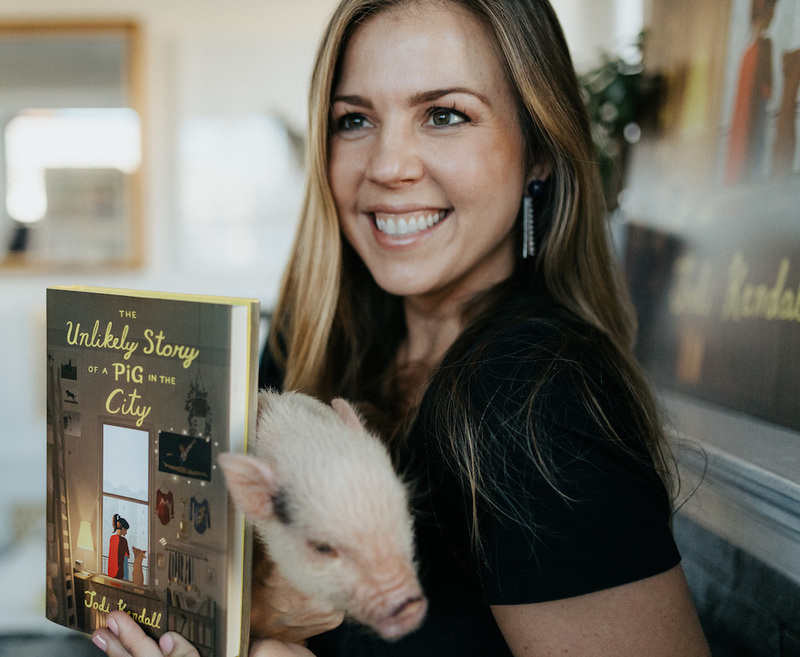 My middle grade novels THE UNLIKELY STORY OF A PIG IN THE CITY and the sequel DOG DAYS IN THE CITY are both on shelves now, and they are age-appropriate for kids in grades 3-7. Besides my writing life, I'm also a mom, wife, vegan, weightlifter, Christian, rescue dog owner, and active volunteer with several animal advocacy non-profits around the United States. My full-time job is in Development with an educational non-profit in New York City called Champions for Quality Education. I’m passionate about sustainability, philanthropy, literacy, education, and the arts, and when I’m not chasing my kids around Central Park, I’m brushing up on my Spanish-speaking skills, teaching myself how to play the banjo, or camping with our teardrop trailer in the Catskill Mountains. My book projects are represented by literary agent Alexander Slater at Trident Media Group. If my schedule permits, I enjoy speaking and Skyping with classrooms around the globe, and educators can email me about potential visits. For the most up to date information, you can follow my writing adventures and author events on Instagram @Jodi_Kendall.